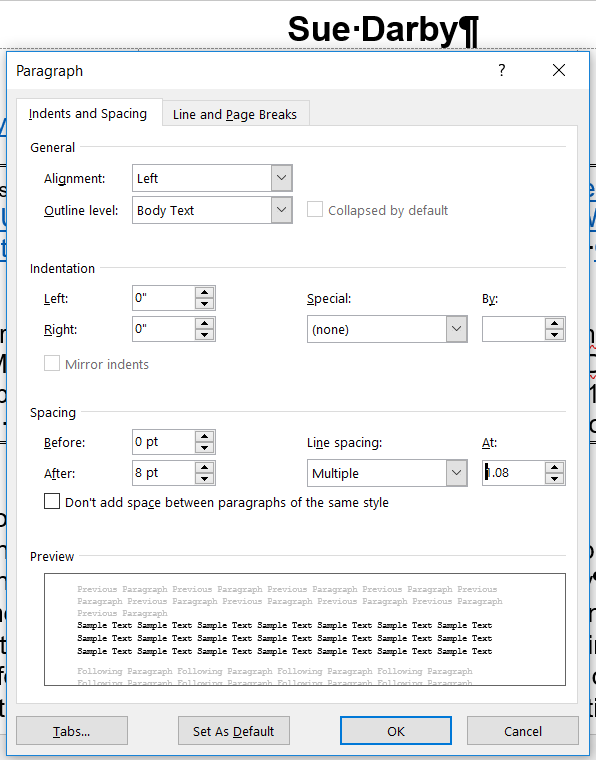 Setting up your own basic styles in Word can make it easier to have standardized documents and give you better results with outlines and other tools built into Word for tables of contents and indexing. This is especially helpful for long documents or if you want to hyperlink portions to other documents. Once you have a new style you like in Word set it up to be the default for all new files to make documents uniform. Learn to use line spacing and character spacing instead of tabs and extra spaces. 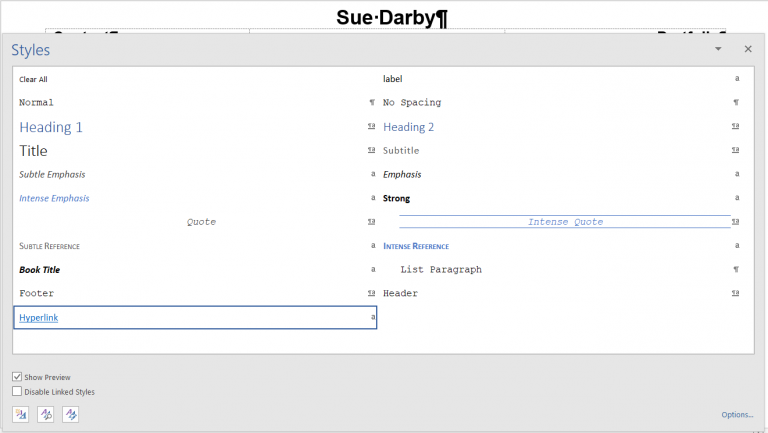 Learn to use tables in Word to do layout if needed or even text boxes for fancier layouts. Adding extra tabs and spaces do not translate well from version to version of Office unless you save as a pdf and then the party you send the file to cannot help modify the file if it is in a locked down file format unless they can convert it back. Tables on the other hand tend to translate fairly well version to version and even between office suites and operating systems. Never use office to do website layout work the results are bad. The code is bloated with unnecessary and repetitive junk. 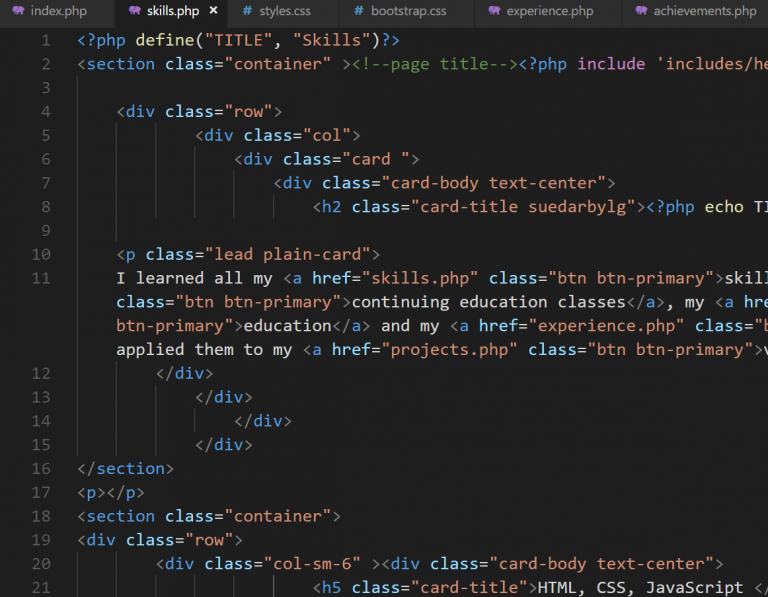 Learn basic HTML and CSS and you will end up with better results. Using a graphics program will also generally give you better control over layout or even using an editor in WordPress or other CMS $stem but not office. Tagged Corel Draw Suite, Examples, excel google docs, Google Sheets, HTML, Microsoft Word, Tips, Websites, wordpress.